Promotional tents with your brand graphics are perfect for various types of outdoor events as trade stands and exhibition stands. 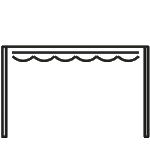 They can also be used in commercial centres, shopping malls, and exhibition fairs. Advertising tents as promotional tools manufactured by Litex Promo are objects combining two functions – practical and marketing. Being easy to set up with no previous skills needed, the promotional tents serve as fine tools for a quick installation of a stand during any kind of outdoor event. This way your brand has a great opportunity to be visible. Promo tents manufactured and offered by Litex Promo come in different forms – square or rectangular. The structure – with frames made of aluminum – allows our promotional tents to be fully versatile, ensuring safety of use and a variety of possible locations for setting up tents. 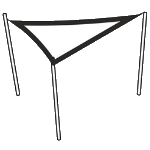 Depending on the event in question, the tents can be placed on the hard ground, as well as on the sand. Tents and gazebos are perfect when branded – on the large surface of the polyester canopy the elements of visual identification and other brand elements are printed by Litex Promo, using the technology ensuring long lastingness of the colours which in turns keeps the recognizability high and contributes to identification of the brand in question itself with high quality. 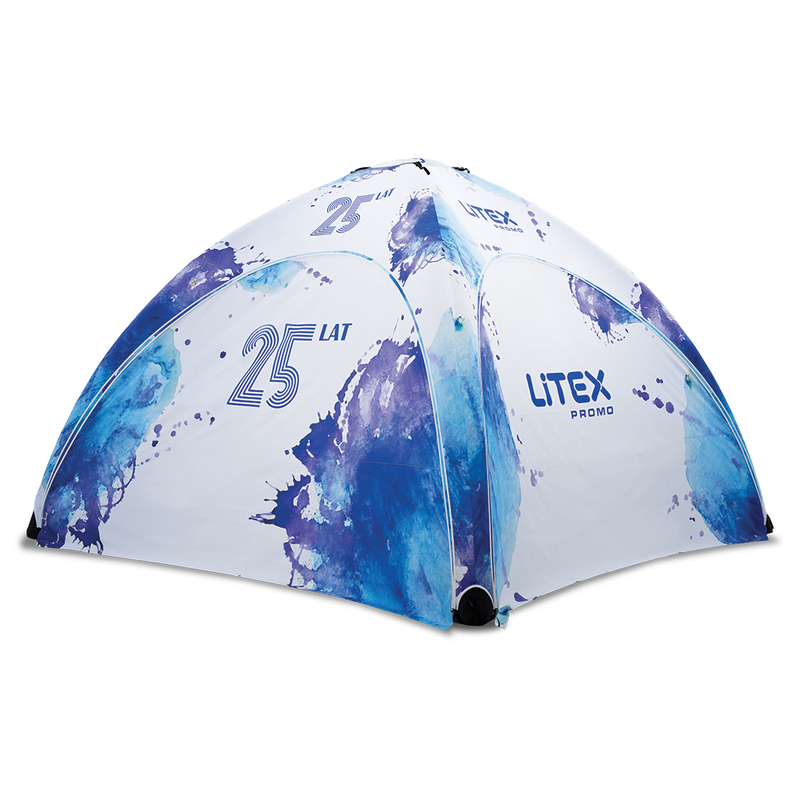 Litex Promo offers digital and screen printing techniques for branding tents commissioned by our Customers. 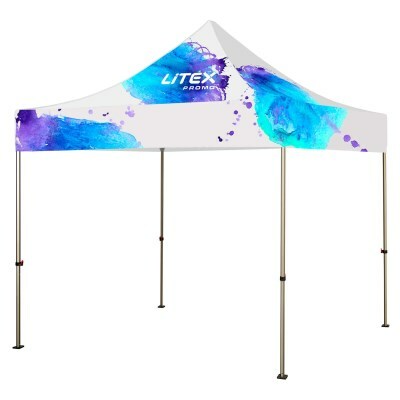 When it comes to marketing value of Litex Promo products, the branded promotional tents or gazebos, being present in variety of relevant contexts, make a strong thread in marketing strategy of any brand. Certain brands need to focus more on such means, but there is virtually no type of brand nowadays that wouldn’t make a good use of a branded and well-priced promotional means such as advertising tents.